DOVU, a crypto-powered rewards platform for smart travel, has today revealed that it will be scheduling a Security Token Offering (STO) in partnership with TokenMarket expected to take place April 2019. After successfully raising £4.7 million in October of 2017 through a token sale, DOVU is now looking to raise £2 million in the form of a sale of tokenised equity. The use of funds will enable DOVU to further develop its platform, build user growth and facilitate creating a larger customer base. With recent news of a partnership deal with FTSE 250 company Go Ahead, and the recent launch of its consumer wallet, DOVU now seek to raise capital in order to expand its smart mobility platform for global adoption. 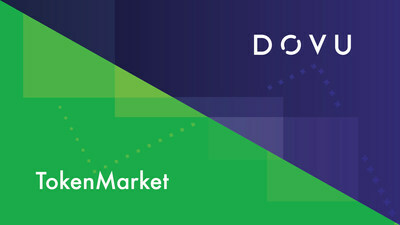 DOVU's raise will see TokenMarket issue the business' equity in a tokenised format via a crowdfund and private placement memorandum on the ToknMarket investment portal. Upon completion of the FCA Regulatory Sandbox test, DOVU will become the first regulated retail STO by TokenMarket, making it the second raise of its kind to be carried out in the UK as well as one of the first STOs in Europe. This means that DOVU's platform users along with the wider public will have the chance to become investors in the business, a unique opportunity in this growing market space. "We've had great success launching our public wallet where users are earning DOV tokens, as well as signing a number of partner deals which will drive our platform forward. Given our strong position, we feel now is the right time to offer equity ownership to our growing community. TokenMarket was crucial in ensuring that our first raise in 2017 was a success and we are pleased to be working with Ransu and Mikko's dedicated team once again to run our STO." - Irfon Watkins, Founder and CEO, DOVU. DOVU has previously received seed funding from Jaguar-Land Rover's investment subsidiary, InMotion Ventures and has been supported by Creative England, a scheme backed by the UK Government's 'Public Growth Fund'. DOVU will look to further develop the high calibre of partnerships it forges throughout 2019. "STOs mark the new future of issuing equity in a business and we at TokenMarket are looking to set the standard. By using blockchain technology and bringing investment opportunities to the retail sector, we are confident that tokenised equity will become the norm. Having previously worked with Irfon and the DOVU team, we are thrilled to continue this great business relationship." Ransu Salovaara, CEO and Co-Founder, TokenMarket. DOVU creates a new value exchange between people and global mobility providers. The DOVU platform allows users to earn DOV tokens for sharing and improving the way that they travel, allows mobility companies to get closer to their customers and ultimately helps cities get smarter.